Japan’s Prime Minister Abe Shinzo moved quickly to become the first foreign leader to meet with Donald Trump in Trump Tower soon after the latter’s stunning election victory, a public relations coup for the Japanese government. Once Trump was inaugurated, Abe was then treated to a flight on Air Force One and a round of golf including high-fives with the new President at the ‘Winter White House’: Trump’s Mar-a-Lago club in Palm Beach, Florida. Abe’s investment of significant time and resources into building a relationship with the new man in the White House is clearly designed to protect and enhance Japan’s national interests in two key dimensions that this article considers: security and trade. Concerns over a potential US-China grand bargain and deal-making on a range of issues from North Korea to the South China Sea may however revive long-held fears within the Japanese establishment. Firstly in terms of security, Trump made comments on the campaign trail suggesting that Japan should pay more for the US military presence or risk withdrawal of US forces, setting alarm bells ringing in Tokyo. Trump even hinted during the campaign that Tokyo might acquire nuclear weapons in response to North Korean nuclear tests. 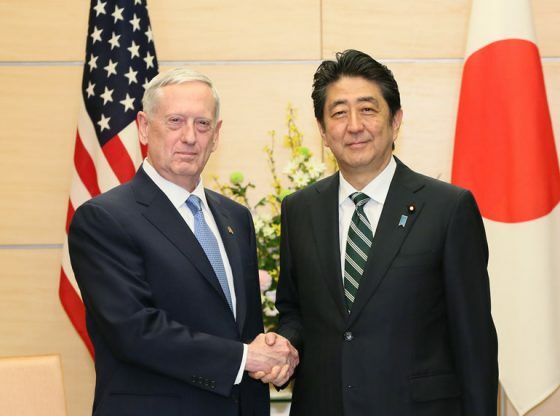 These concerns were somewhat attenuated when new Defence Secretary James Mattis visited Tokyo in February 2017 and stated that Tokyo was a ‘model of cost sharing, of burden sharing… an example for other nations to follow.’ Mattis also reaffirmed the long-standing US policy of stating that the Senkaku Islands (also claimed by China) fall within the US-Japan Security Treaty. 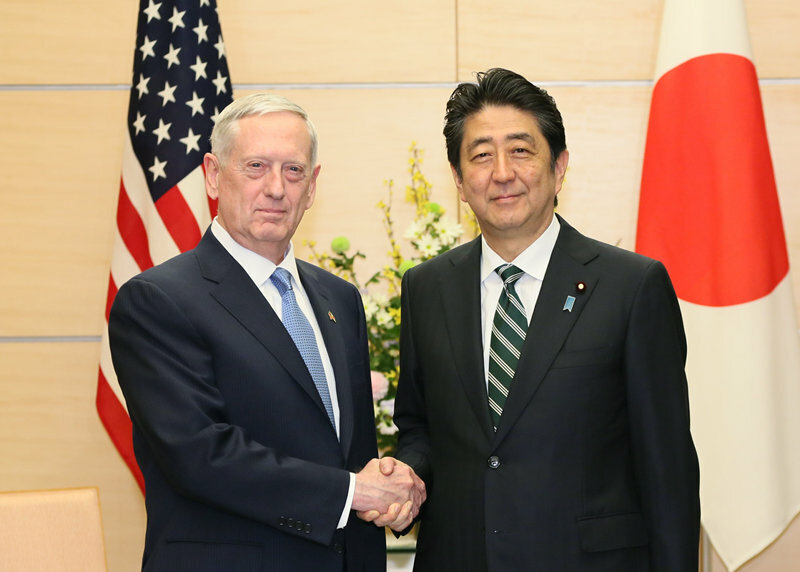 In addition, Mattis endorsed increased spending on the Japan Self-Defence Forces under the Abe administration, saying that it is on the ‘right track.’ In this sense, there have so far been no dramatic departures from US security commitments as initially feared. While Trump has ratcheted up rhetoric and military postures with regard to North Korean missile tests, Tokyo has expressed concern about the potential fall-out of a military conflict in terms of ensuring the safe evacuation of the sizeable numbers of Japanese citizens in South Korea, as well as dealing with refugee flows heading towards Japan. It also has fears about North Korean troops disguised among refugee flows landing in Japan. Abe even raised the spectre that North Korea may already have missiles tipped with sarin gas. The President reassured Abe in March 2017 by phone that he was with Japan ‘100 percent’ after Pyongyang launched missiles that landed in the Sea of Japan. Trump’s rapprochement with Russia’s Vladimir Putin has not materialised and instead he appears to have struck up a good relationship with Chinese leader Xi Jinping based on a transactional basis (Trump suggested that Chinese cooperation on North Korea was linked to his deferring from labelling Beijing a currency manipulator). 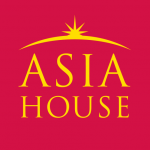 Concerns over a potential US-China grand bargain and deal-making on a range of issues from North Korea to the South China Sea may however revive long-held fears within the Japanese establishment. The most high-profile casualty in terms of trade has been the Trans-Pacific Partnership agreement, of which Japan and the US were the largest partners in terms of economic heft. As Trump withdrew from the multilateral TPP, Tokyo turned its attention towards bilateral trade discussions with the US. In this bilateral format, Washington is expected to place more pressure to open up Japanese agricultural and automobile markets. The two countries have started a new high-level bilateral economic dialogue led by Japan’s Deputy Prime Minister Aso Taro and US Vice-President Mike Pence, an unusual arrangement involving such senior Cabinet rank ministers. Pence is seen to be relatively sympathetic towards Japan, having welcomed Japanese investment while serving as Governor of Indiana. Key issues on the agenda include Trump’s accusations of Japan’s large trade surplus with the US, and the ‘unfair’ disparity in sales of automobiles between the two countries (although these were reportedly not raised at the first meeting in April 2017). In response, Abe stated that US automakers have neither advertised nor adapted their left-hand drive cars sufficiently for the right-hand drive Japanese market, whereas European makers such as Volkswagen have sold relatively well in Japan. This implies that Tokyo will first point out that the source of the problem lies not in access to the Japanese market but in US automakers themselves. Subsequent meetings may be expected to touch on more thorny issues. Japan has been placed on a currency monitoring watch list together with China, although it has not been labelled a currency manipulator. While Tokyo appears to have shifted towards bilateral trade discussions with the US, Japan has also continued to persist in seeking TPP ratification despite Abe’s description of the revised ‘TPP 12 Minus One’ option without the US as ‘meaningless.’ Chief Cabinet Secretary Suga signalled in April 2017 that Tokyo may be ready to proceed on the TPP 11 framework. During Abe’s visit to Australia in January 2017, the PM managed to secure agreement from Canberra to work towards ratification of TPP and to re-emphasise the importance of free trade to the world. Indeed, in light of protectionist fears about Trump’s America, Abe has presented Tokyo as an ardent supporter and beneficiary of free trade. Speaking alongside German Chancellor Angela Merkel, Abe declared that ‘Japan, having grown through free trade and investment, wants to be the champion upholding open systems alongside Germany.’ The self-styled ‘top salesman’ for Japan has also continued his agenda focused on growth through infrastructure exports. In this regard, Abe has demonstrated flexibility and adaptability to the new man in the White House. Abe positioned himself as a keen supporter of Trump’s growth strategy to improve infrastructure and to keep jobs in the US. During the US-Japan summit meeting in February 2017, Abe also made pitches for Japanese high-tech rail technology to Trump. In particular, Abe noted that it would only take one hour by train from Washington DC to New York using a Japanese maglev train. In a nod to Trump’s ‘America First’ slogan, Abe pointedly said that Japanese investments will mean ‘there will be even more new jobs being born in the United States’. On the trade front, challenging times may loom ahead for the US-Japanese relationship. Fears about the US security commitment may have abated somewhat, but one thing is clear: PM Abe has proactively demonstrated his determination to ensure that the US-Japan alliance remains on an even keel, despite the so-called Trump shock. Yee-Kuang Heng is Professor at the Graduate School of Public Policy, University of Tokyo, Japan. Image credit: CC by Wikimedia Commons.